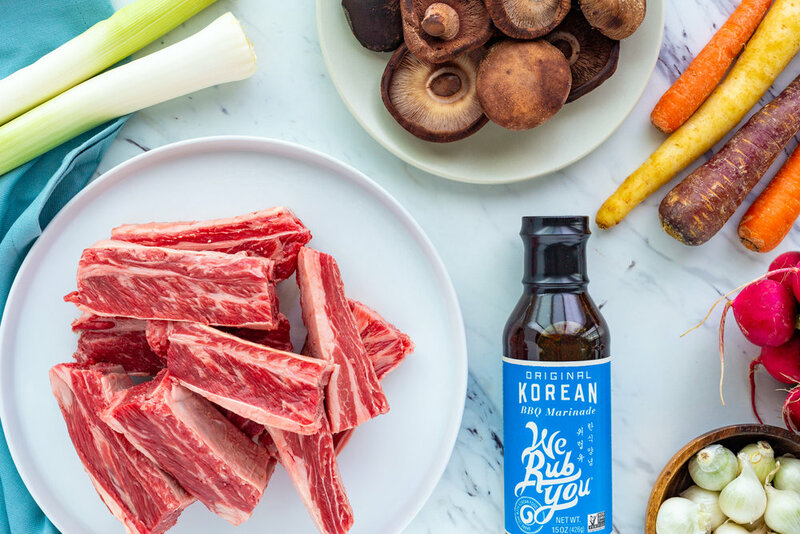 Soak mushrooms in warm water and short ribs in cold water for 30 minutes. While short ribs and mushrooms soak, cut ends off leeks, halve width-wise then halve length-wise. Peel pearl onions and cut ends off radishes and halve them. Peel carrots and cut them into 1-inch pieces. 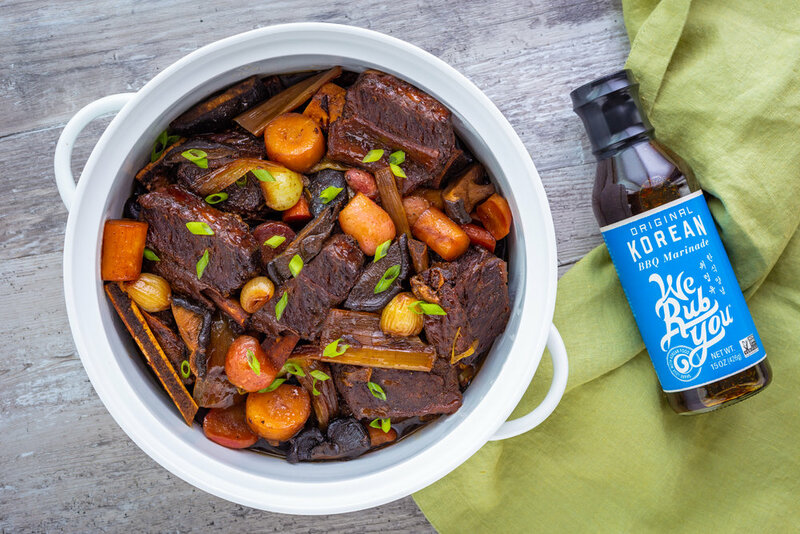 Once short ribs and mushrooms are done soaking, strain the water and pat them dry. Slice mushrooms. 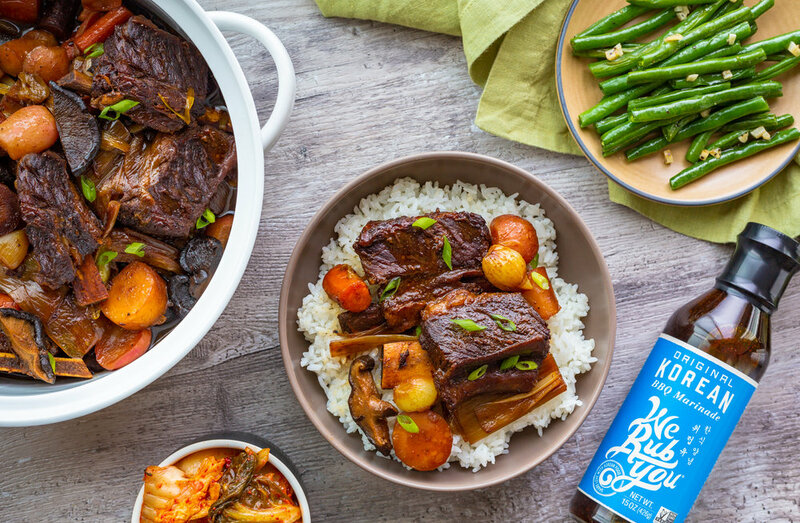 Place short ribs as a single layer at the bottom of your Instant Pot. Pour We Rub You Original Marinade on top. Close the pot, set the valve to Sealed and the cooking setting to Meat/Stew. Cook on high pressure for 35 minutes. Use tongs to unseal the valve to prevent the steam from burning your hands. Once the steam has been released, remove the lid and add vegetables. Replace the lid and set the cooking setting to Manual for 3 minutes. Optional: Garnish with green onions and serve with white rice and your favorite side dishes.